I love to make my own hummus. It's a healthy snack, and I have fun creating different flavors. The boys enjoy it, and it is lunchbox friendly. It also makes wonderful wraps! Recently I whipped up a batch of spiced pumpkin hummus. This came from a recipe in Cooking Light magazine. Place ingredients in food processor, process until smooth. Serve with crackers, chips, or baby carrots. Next time I want to try this using some blue hubbard squash! Readers, do you have a favorite brand or flavor of hummus? We love red pepper hummus. I've been looking for fresh ways to incorporate pumpkin into our diets; this is definitely on the 'must try' list! This isn't a combination I would ever think of with hummus, I'm not sure why because I make plenty of savory pumpkin soups...My favorite hummus is Sabra Supremely Spicy Hummus if I am buying it. I tend to make my own with lots of garlic. I also love to make a garlic and white bean dip which my kids prefer over hummus, just combine navy beans, garlic, olive oil, salt and pepper - yum! Seems appropriate for this first day of Autumn. Growing up we had no idea what hummus was so I never acquired the taste. Might be good with butternut. Sterling is making pumpkin beer at the brewery today, I will let you know when it is ready. I havent tried a lot, mostly store samples. That sounds DELICIOUS! I just buy ours from Costco, but I'm going to have to make this! I also love to make hummus. Such a great snack. I don't know about the pumpkin....but I might have to try it! That sure looks good though. 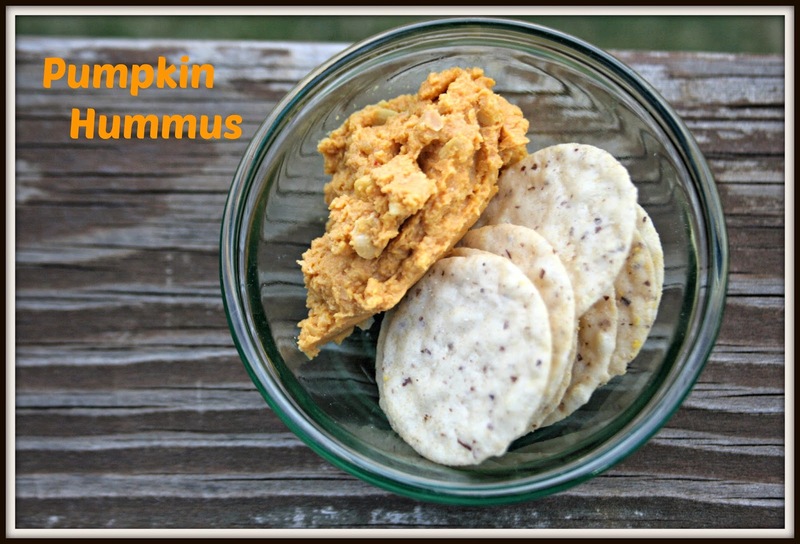 Pumpkin hummus? I never would have thought of that. I like humas too, but I have to just buy it at the grocery store. I'm not much for making things in the kitchen. I never quite seem to get my productions to come out like they should. Yum,,, you always have the best sounding recipes! We love hummus too, I've never heard of smoked paprika nor have I heard of or had pumpkin hummus but sounds good-recipe is copied :-), I think I'll use the chick peas as well! You know, I've never thought of this. But if I tried this flavor, I'll bet it would become my favorite! Good suggestion!! This sounds good! My husband makes hummus, but he hasn't for awhile. Usually I just end up buying it. I should try to make this! Ahaaa, not so much a fan of pumpkin, so nice way to incorporate it in our diet.